Position. Deputy Headmaster. Transfiguration Professor. Wand. Larch, Phoenix Feather, 14 1/2 inches, Fairly Bendy. 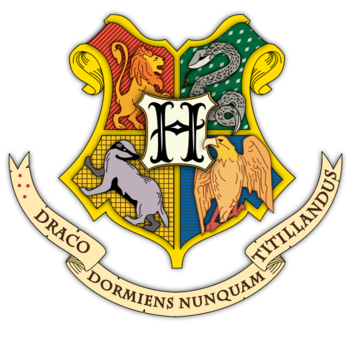 September 1998 - Begins teaching Defence Against the Dark Arts at Hogwarts. Head of Slytherin. Continues to work with Ministry and St. Mungo's for unusual or difficult cases involving magical effects or curses. September 2017 - Deputy Headmaster. November 2017 - Switches to teaching Transfiguration. Blacksworth was a pureblood family with descendants scattered around the globe. As the last, Kardat not only inherited their name, but also a quality known to be exhibited in numerous male members of their line: His eyes, framed by black eyelashes, are hazel with noticeable flecks of bright green, yellow, gold, and amber-red. He is tall, his build lean rather than wispy. His hair is black, and strands extend neatly down his back until the bottom of his shoulder blades. Smooth, sharp features form an expression that is almost permanently neutral. There is a present but unaccented grace to his movements, which, combined with sharp purpose, makes every gesture easy, confident, and, when required, swift without a hint of discomposure. When you read of Kardat Blacksworth, you would first encounter his achievements: The numerous spells invented – including ones that permitted the rediscovery of spells once thought lost, as well as those that aided in the understanding of magic and spells themselves – the list of books on magic and defence published, students instructed, and curses removed. You would learn he was an Auror, and then a spell specialist; a practical scholar. Then you would be informed he was educated at Durmstrang Institute until December of his 6th year, after which he became a student at Hogwarts School of Witchcraft and Wizardry. With a little digging, you would discover his grandfather was a Death Eater active during the First Wizarding War; a dark wizard jailed for life in Azkaban. You wouldn’t find much else. Anecdotes from his students state first impressions of impassiveness, but also that his actions do not necessarily align. He is direct, his gaze capable of fixing someone to the spot, but there are whispers that kindness is present behind the tall, sedate exterior. As for the man himself, he appears unconcerned. Your occupation is DEPUTY HEADMASTER. On behalf of HOGWARTS SCHOOL OF WITCHCRAFT AND WIZARDRY, we acknowledge this day, JULY 23RD 2018, to represent the momentous occasion of your 53RD birthday.